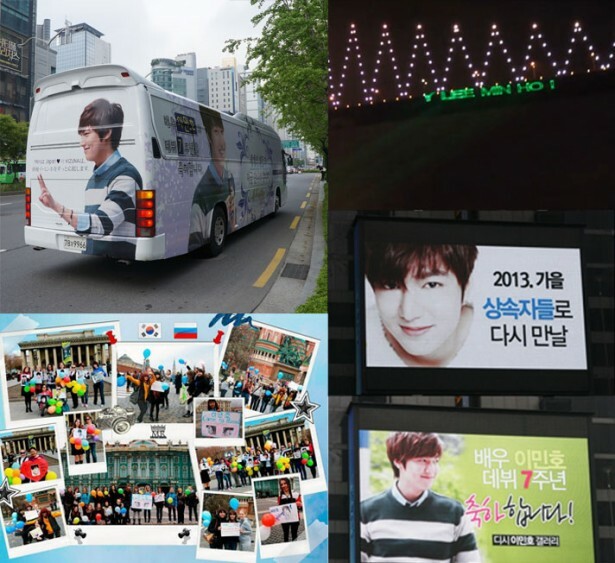 To celebrate his 7th year anniversary, members of Minoz, the name for actor Lee Min Ho’s fans from all over the world, have been sending out messages of support and encouragement. Lee Min Ho made his debut in May 2006 through EBS teen series ‘Secret Garden.’ This year, he just entered 7th year since the debut and fans around the world sent congratulating messages to celebrate the anniversary. Meanwhile, Lee Min Ho will release a new album titled “My Everything” in late May as a gift to his fans who have put a lot of effort into celebrating his anniversary.